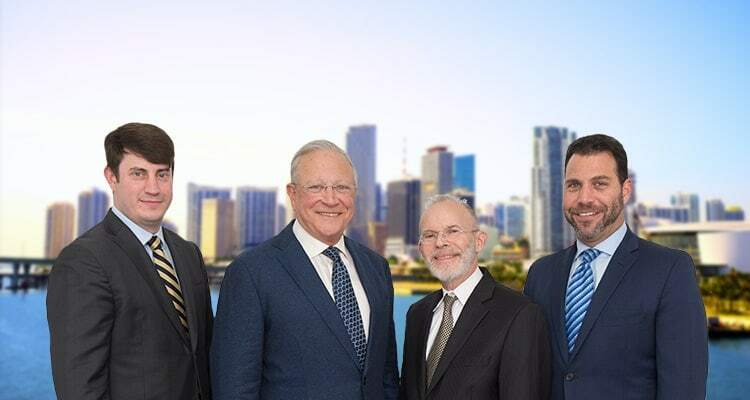 Contact Aventura Personal Injury Attorney Gerson & Schwartz, P.A. Over the last 15 years Miami, Florida has seen an influx of construction from high rise condominiums to commercial buildings. Unfortunately, the number of construction accidents and injuries to workers involved have also risen too. Given the millions of people go to work each day in the field of construction, and each of them shares one goal: the hope that they will arrive home at the end of their shifts as healthy as when they began their day. In thousands of cases each year, though, that does not happen. According to the U.S. Bureau of Labor Statistics (BLS), approximately 150,000 injuries occur as a result of construction workplace accidents annually. The leading cause of construction workplace accidents is falls. The statistics also revealed the most likely person to suffer a construction accident was between ages 25 and 34 and would suffer a trunk, back or spinal injury. Another substantial portion of the workers injured on the job suffer head injuries, which frequently result in brain damage. Even more frightening is the fact that in excess of 1,000 construction workers die in workplace accidents each year, making construction one of the country's most dangerous industries. The BLS reported in 2008 that, in Florida, construction accidents made up 44 percent of the work-related fatalities in the state. When workers suffer injuries at work, they have the right to seek compensation for their injuries. These workers' rights, however, are more limited than in many other personal injury lawsuit situations. In some cases, the law may only permit the worker to receive workers' compensation benefits for his or her injuries. Unfortunately, workers' compensation often does not sufficiently compensate injured workers for the harm they suffer. Workers compensation benefits are also not always available. Additionally, these protections do not apply for the negligent acts of other third parties. In these situations workers can pursue other responsible parties who are not their employer. Depending on the circumstances of the worker's accident and injuries, the worker may recover due to the non-employer's negligence. These parties could include general contractors, property owners, construction managers, developers, engineers or architects. Still other options may also exist. As one example, if a worker suffers harms as a result of an accident where a faulty tool or defective equipment was the cause, or one of the causes, then that worker may pursue a claim against the manufacturer of that device under the legal theory of product liability. These devices may include safety harnesses or other safety equipment, scaffolds, nail guns, ladders, lifts and heavy equipment. Another aspect of construction accidents is the Occupational Health and Safety Administration (OSHA) and its regulations. OSHA is the federal agency tasked with creating regulations and enforcing laws regarding safety in the workplace. In too many cases, when construction accident injuries occur, subsequent investigations reveal a violation or violations of OSHA's rules. OSHA’s duties, as they relate to construction sites, include protecting workers, enforcing safety requirements and seeking to minimize construction site injuries. Employers who run afoul of occupational health and safety laws and regulations may expose themselves to additional liability, including civil and criminal penalties. If you've been injured working on a construction site in our area it is important to seek a Florida construction accident attorney promptly. Your attorney can assist you in identifying all those from whom you may be able to obtain compensation, and help you recover for all the injuries and harm you've suffered. Feel free to contact the experienced construction accidents lawyers at Gerson & Schwartz, P.A. for help. There is no obligation or cost to sharing your story and learning about your legal options.